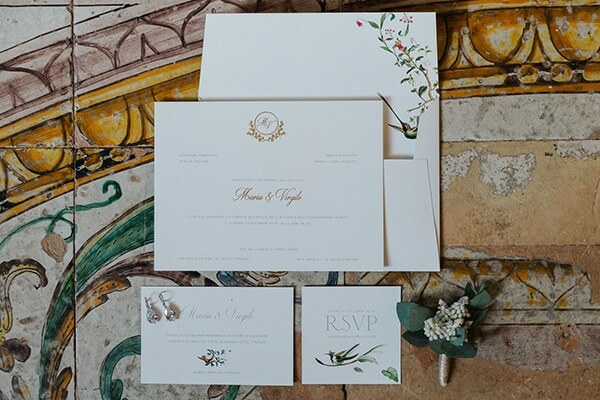 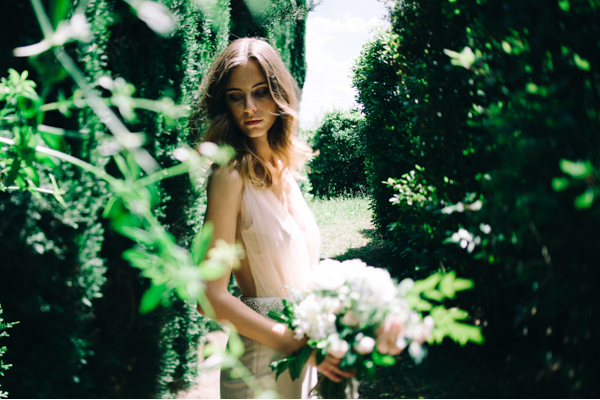 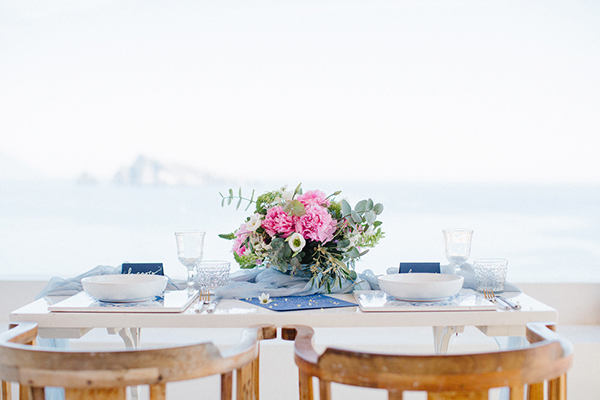 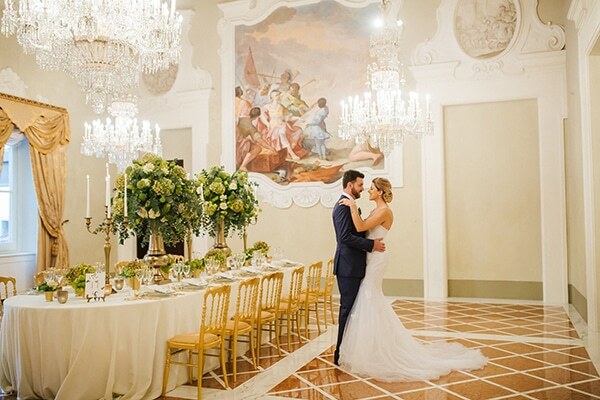 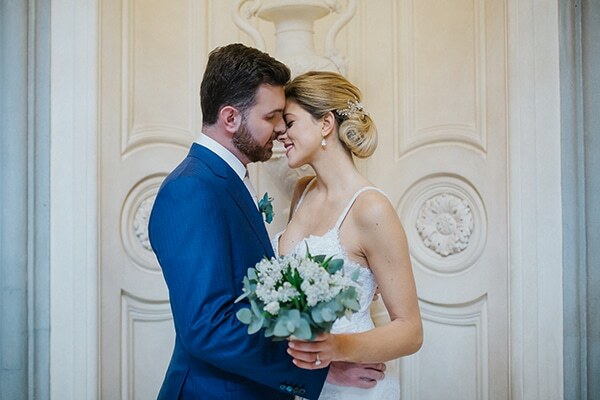 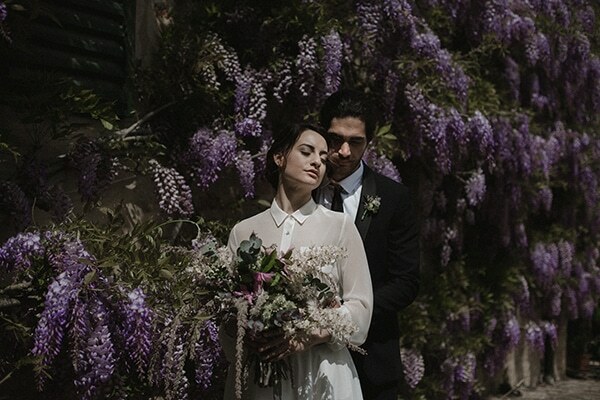 Today we are sharing a dreamy inspiration styled shoot in Florence. 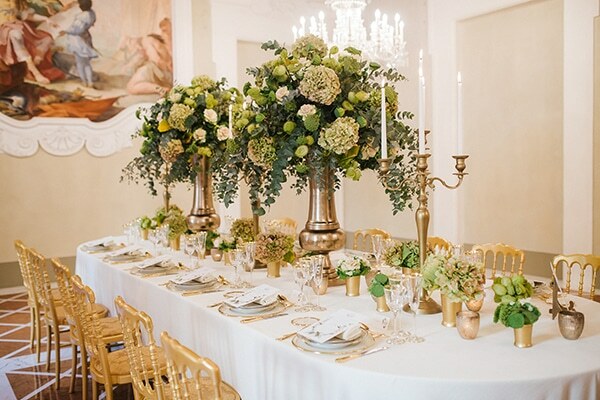 The decoration was beautiful with gorgeous floral arrangements and a table setting that matched perfectly the magnificent background. 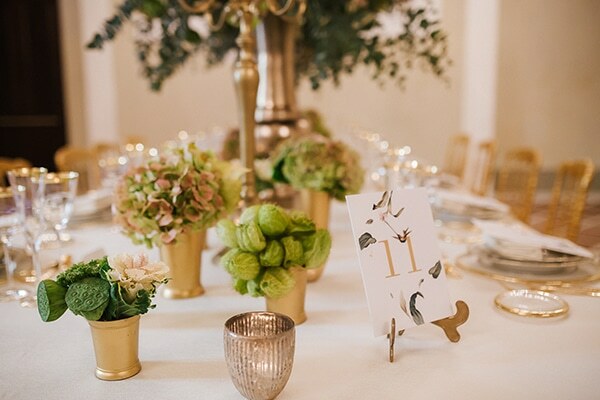 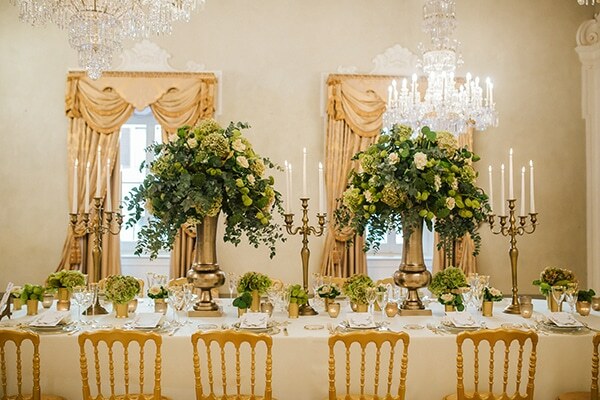 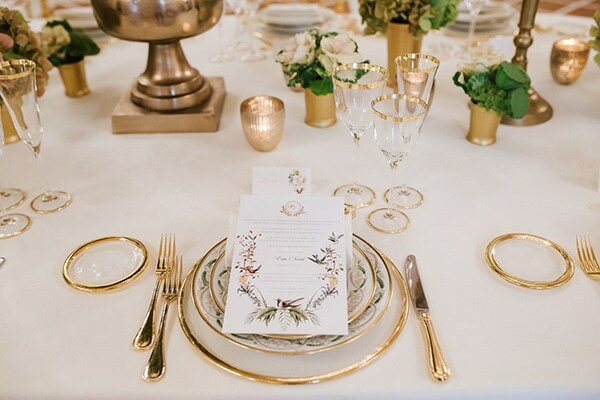 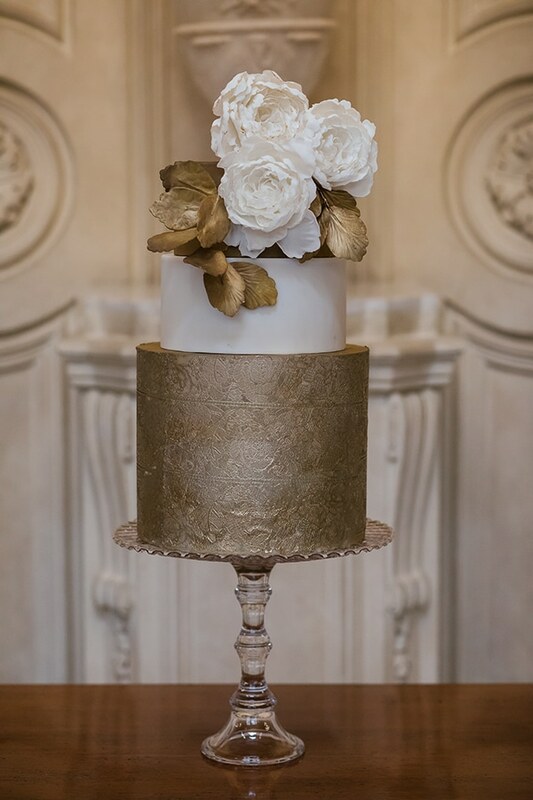 The flowers, green hydrangeas and white cabbage flowers and the gold details in decoration were a perfect combination. 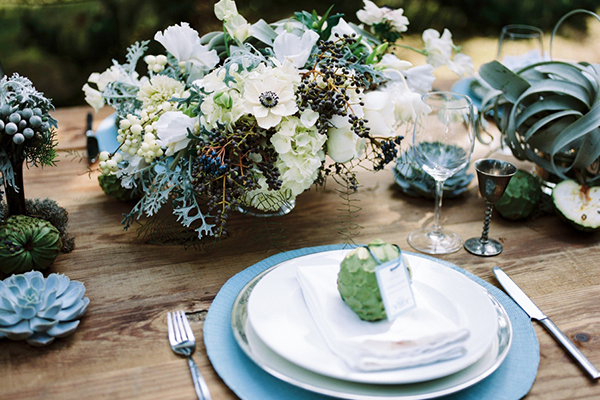 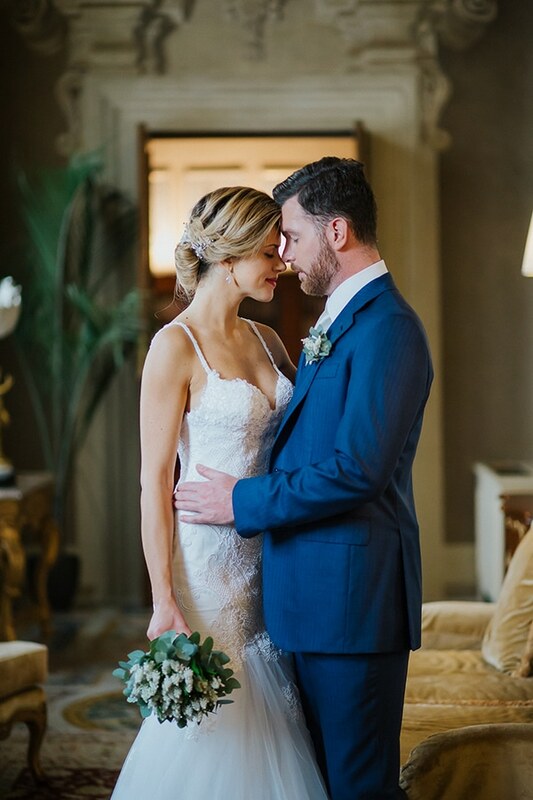 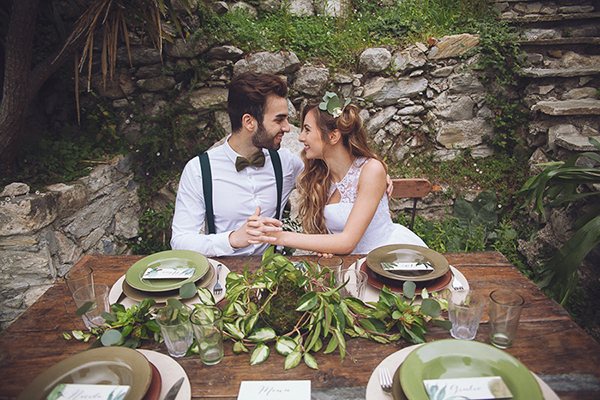 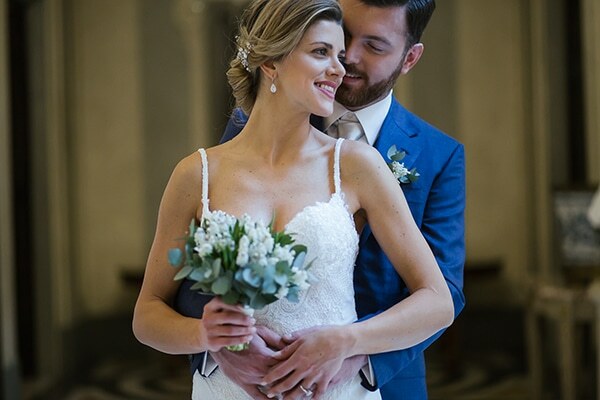 Feast your eyes on this wedding styled shoot!